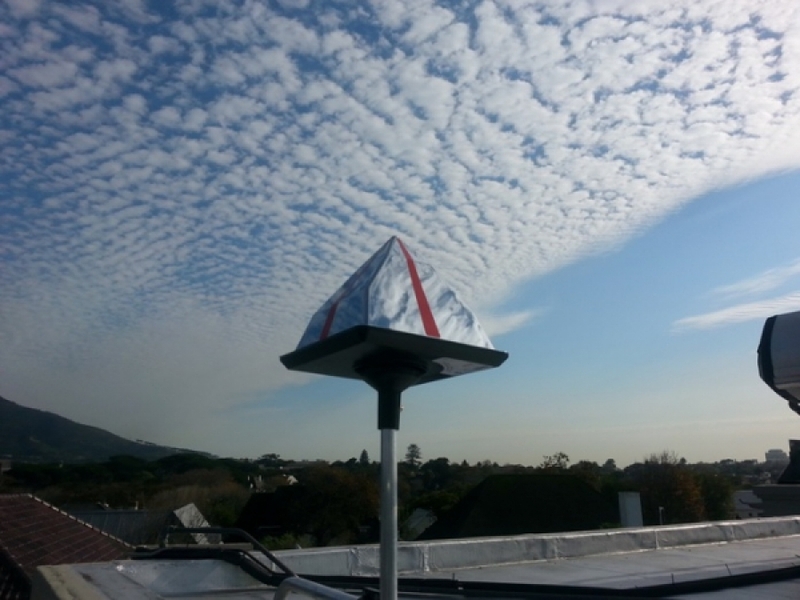 Because the Eagle Eye™ unit uses the UV spectrums from the sun to deter the birds, a variety of factors apply to each installation. To cover a building could take anything from 2 to 20 units, depending on the size of the area that needs to be covered and any obstacles in the way of the spectrum reflected from the unit. The installation complexity lies in trying to determine the correct number and placement of the required devices in order to clear the infested area effectively. Quite often, the solution to the infestation involves more than one single Eagle Eye™ unit. Our quotations usually involve the design of a ‘system’ that comprises two or more products, which should deter at least 80% of the birds from the area. We often install two Pro-Pellers with every Eagle Eye™ unit for better results, which combined with the Extreme Sound System, Netting, Spikes, and Sealant Wax, will ensure that you have the most effective ‘system’ for your requirements. Installation complexity and the unique requirements of each client mean that, for our third-party suppliers, our products are not designed as ‘off-the-shelf’ solutions. Critical to the success of the system is that all agents, installers, and maintenance personnel understand the operation and placement of the units to our standards. Training is offered via webinars or at local offices.